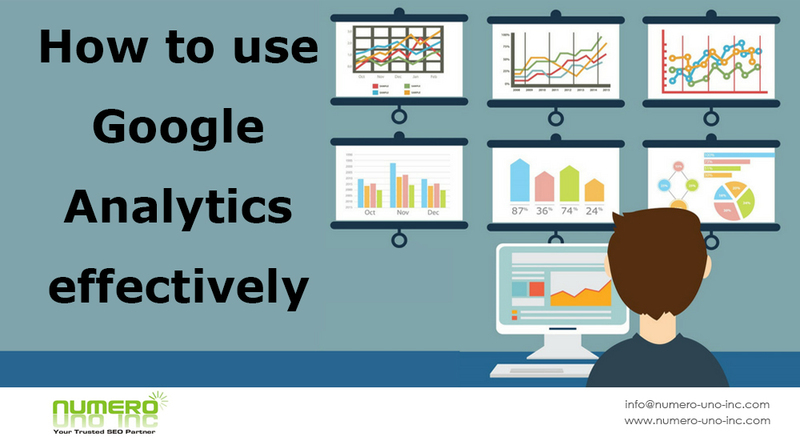 Discover how to use google analytics effectively in order to monitor the performance of your website through crucial metrics provided by Google Analytics.Google analytics metrics will help you improve your conversion rates. It keeps track of the things happening on your website. In the first part of this article, we have covered two metrics like Device & Location. 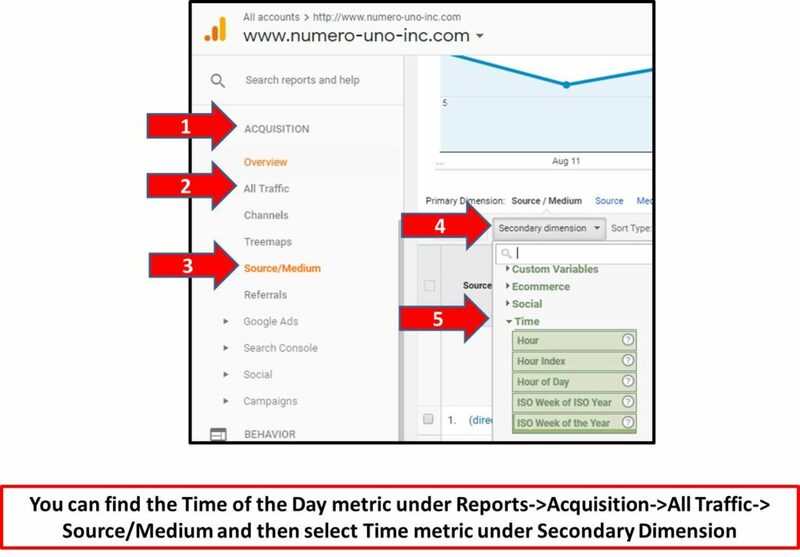 Please go through the earlier article to know how to use those metric effectively. This is another very critical metric & if analyzed rightly can be of immense value. Generally people divide a week to weekdays & weekends & try to make plans accordingly. But there can be certain days when you are likely to see spurt in visitors to your website. If you are able to analyze & tap effectively, leads & finally conversion will also increase . Let’s take an example, one of the clients who are into B2B sales have 90% traffic on weekdays. On further scrutiny we found out that Mondays & Fridays also were relatively low traffic days as well. Tuesday accounted for 22%, Wednesday 27% & Thursday 23% traffic. So accordingly client increased their working hours by an hour on these 3 days so as to be able to handle maximum possible enquiries. Also we moved all updation changes for this client from Friday to Monday slot. No changes on Tuesdays Wednesdays & Thursdays for them. Another example I would like to share is of another client who use to generate many leads from Gulf. We analyzed as Thursdays & Fridays is a weekend for them, traffic increased considerably during this period from Gulf. Saturday Sundays were another peak day for them as other parts of the World had their weekends then. So effectively their peak days were Thursdays Fridays Saturdays & Sundays. Their office would be open extra 2 hours on these 4 days. Google analytics has another metrics which is very useful i.e. – Time of The Day. Simply speaking it gives you break up of your visitors for the hour of the day. For e.g. if you have 100 visitors in hour 3 to your website, it means 100 visitors visit your site between 2 am to 3 am. If you know when your visitors are most likely to visit your website you can accordingly plan & engage them more effectively to increase leads & finally conversion. Let take an example to further throw some light- Another client of ours, into b2c segment had maximum visitors in the evening slot i.e. 6-10 pm. Their office closed at 6 pm. The landline & mobile numbers remained unanswered after 6 pm. On letting them know that more than 25% enquiries are in the 6-10 pm slot, they introspected & diverted landline numbers to mobile phones. Also the staff volunteered to rotationally take mobile phone home & attend enquiries. This increased their total leads & conversion by 35%. I always feel Digital Marketing is a Journey & not a destination & also that small steps lead to incremental positive changes which finally add up to something substantial. 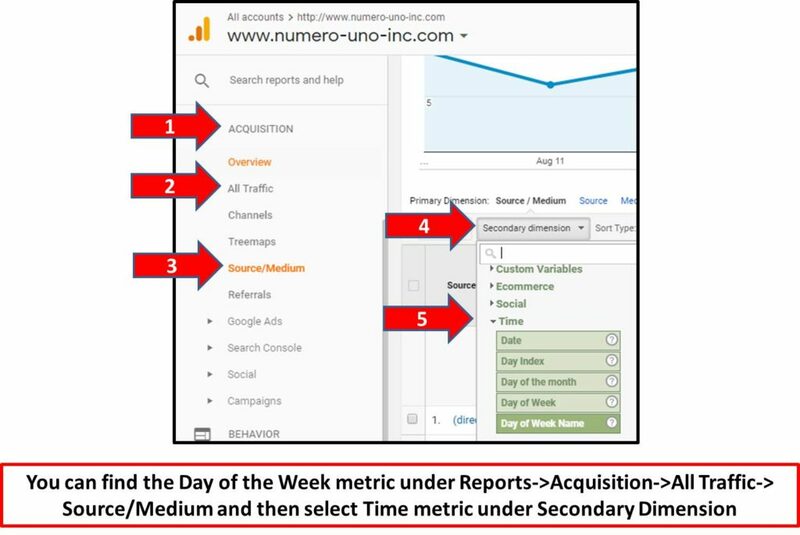 Hope the above article on how to use google analytics effectively has helped you to understand Google Analytics Metrics especially Time of the day & Day of the Week. This entry was posted in Google Analytics, SEO and tagged google analytics, google analytics metrics. Bookmark the permalink. Can you share how we can use the observations of day and time with some examples or case studies? I have given 3 examples how our customers used this analytics metrics & strategised to in different ways like working 2 hours extra, carrying mobile phones home to handle enquiries.